Apple is now offering $US29 battery replacements for old iPhones. 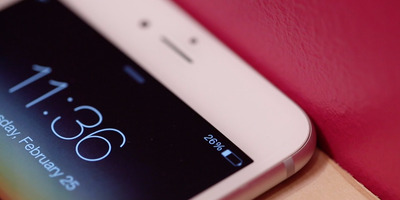 Apple started offering $US29 in-store battery replacements last week in an apologetic move after the company revealed that an older battery could actually make an iPhone run slower. It’s a win for customers who can now extend the life of their iPhone at a lower price, increasing both its battery life and its performance. But it may be bad for Apple’s bottom line, analysts at Barclays wrote in a note on Wednesday. “While this is a good PR move for Apple to resolve the issue, we are concerned it could be a mild headwind for iPhone unit sales if more iPhone users decide to take the offer instead of upgrading to a new device,” the analyst Mark Moskowitz and team wrote. They model that as many as 16 million fewer iPhones could be sold in the coming year thanks to the offer. That comes out to as much as $US10.29 billion in lost revenue, according to the Barclays model. This incident has caused significantly higher public awareness of Apple’s behaviour, and thereby, the $US29 offer. $US29 is affordable, and it will provide a significant boost in speed (from 600MHz to 1400MHz for an iPhone 6). Our August Wireless survey suggests battery drain is No.1 reason for users to upgrade to new device – therefore, a new battery may deter some upgrade intention. To recap the battery story: iPhones used to have an issue in which they shut down seemingly at random. It was because older batteries – the batteries you find in 2-year-old phones – couldn’t provide enough power at certain times, and the phone would then shut down to protect its components. Apple’s fix for this problem was to limit the peak power draw that an older iPhone was capable of through software updates. After it revealed the fix in December, people were furious to receive confirmation from Apple that older iPhones could take longer to launch apps, may display choppy scrolling, and could have dimmer screens and quieter speakers. To smooth over this issue, Apple announced that it would offer $US29 iPhone battery replacements in 2018 – a significant discount from the normal $US79 price, which Apple says will improve the performance of an older phone. Apple now has to hope that iPhone users don’t decide to take a $US29 battery over a $US999 iPhone X. “Even a small percentage opting for battery replacement over upgrade could have meaningful impact on iPhone sales,” the Barclays analysts warn. They give Apple a neutral rating and a $US162 price target.